Following on from its recent launch of multi-account posting with your updates, Instagram is now also developing a new option to connect several accounts to a single log-in, enabling you to more easily manage your various Instagram presences. As first reported by TechCrunch (image above via Jane Manchun Wong), the new option would give Instagram users a range of account management options, which would extend beyond simply being able to more easily manage additional, business-related accounts. For example, a key trend among younger users has been to operate secondary 'finsta' accounts where they can share more personal updates without fear of the judgment that comes on their main profile. "[Finstagram] completely went against all that Instagram had been for me in the past 2 or 3 years I have been on the social network. I have learned that Instagram posts are an art. It can take a lot of time for me to post a photo on Instagram. I need to decide the photo to post, ask friends for advice on captions, make sure every blemish is not seen, and edit it. I, along with other teens, spend this time because we know that everyone will see it and it can define who you are." 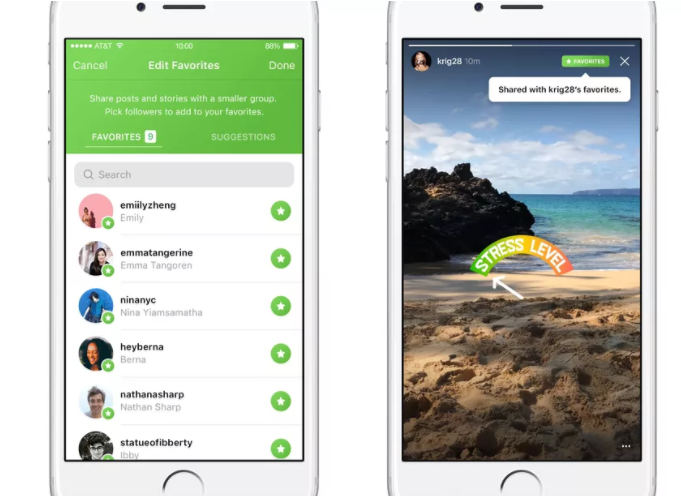 The Finsta trend is reportedly what lead to Instagram's internal development of more enclosed sharing options, including 'Close Friends' groups for sharing your Stories, and private list 'Favorites' for your regular posts, where you would be able to choose certain groups of friends with whom you would share specific updates. The latter option remains in development, and could be supplanted by this new account linking option, if the functionality does, indeed, go on to be rolled out to all. But it also raises an interesting question - how many Instagram users, exactly, are operating multiple accounts? Of course, as noted, there would be many users who also run business accounts, but the option to link multiple profiles here seems more aligned with the aforementioned finsta trend, for users who have several personal profiles. Given Instagram's working on a solution to cater to this, you'd have to assume that it's a reasonably common trend - and given that, what does that mean for Instagram's actual user count? Instagram, at present, sees a billion monthly active users - but does it really? What would the real number be if they accounted for this type of usage? In all likelihood, Instagram usage would still be very high, so it's not to say that usage of secondary profiles is artificially inflating Instagram's user count to significant degree. But still, it does highlight the issue of what platform user count actually represents - and with both Facebook and Twitter announcing that they'll be switching to new user count metrics in their quarterly reportage in future, it is an interesting point to consider.